Bengaluru, once called the "City of Lakes" is fast losing its water bodies due to encroachment, a report released recently by the state government has revealed. On January 8, the House Committee on Tank Encroachment under the Karnataka legislature, released a press release with the names of encroachers who have killed lakes in and around Bengaluru. Those named in the press release were mostly real estate developers. But astonishingly, government agencies like the Bengaluru Development Authority and Bruhat Bengaluru Mahanagara Palike (BBMP) too have been held in the report to be equally responsible for concretising lake beds, says K B Koliwad, the chairman of the eleven member-committee. The government agencies together have encroached more than 30 per cent of the total encroached area of 4,238 hectares according to the report. Bengaluru, it seems, has not learnt any lessons from Chennai. At the end of last year, Chennai faced severe flooding. One of the major causes for this flood was unplanned urbanisation. Chennai is dotted with waterbodies and canals which carried the extra runoff away from the extensively flat city. 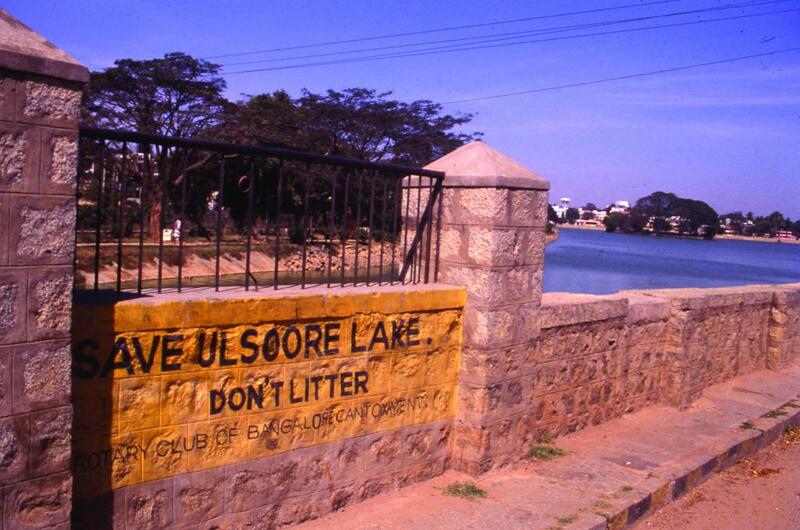 Bengaluru is a city the lakes of which have been lost due to rapid concretisation and pollution. The 2015 report by the Indian Institute of Sciences (IISC) says that almost 54 per cent of the lakes in the city have been encroached due to illegal buildings. IISC also explains that between 1973 and 2013, there has been a 79 per cent decrease in the area of the waterbodies. The recent report by the committee showed that the total area occupied by the waterbodies in urban and rural Bengaluru comes to 23,300 hectares. According to news sources, more than 11,000 encroachers were identified which included government agencies too. 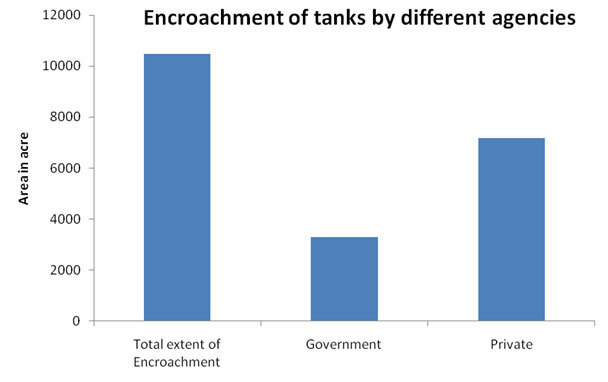 Only 19 per cent of the tanks have been left which may show encroachment in the coming years if strong steps are not taken. Show-cause notices were given to these encroachers and the encroachers are supposed to respond by the end of this month. Lake Development Authority (LDA), a non-profit organisation, was set up in 2002 by the state government of Karnataka, to regenerate and conserve the lakes in and around Bengaluru. But the authority was unable to bring about any change in the state of affairs as it lacked legal powers. The Karnataka Lake Conservation and Development Authority Bill, 2014 was passed in December 2015. This not only gave legal power to the LDA but also empowered the civic agencies including BDA and BBMP to prosecute the polluters and encroachers of waterbodies. The Act also talks about imprisonment for three to five years and a fine of Rs. 10,000 to Rs. 20,000. The new committee report points fingers towards BDA and BBMP as the major government encroachers. It will be interesting to see how the government agencies react to this report. The committee will recommend criminal cases against encroachers whether private or government. The sponges of the city require immediate conservation—the city has already faced four major flood events post 2000 due to the concretisation of lake and tank beds. Poor urban planning and weak wetland rule are responsible for this.